There’s one secret to making the best hot chocolate in the world and guess what it is. The secret is to use really great chocolate, obviously. What were you thinking? 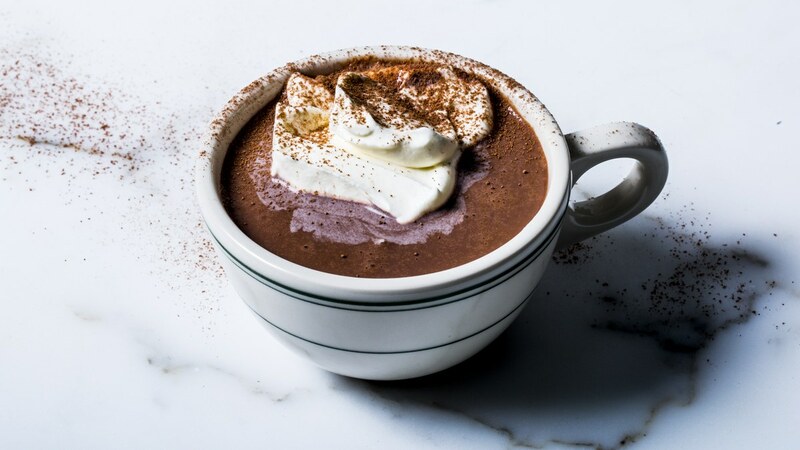 This recipe will show you step-by-step how to make life-changing hot chocolate from scratch. Take note though, this makes very rich and thick hot chocolate, so feel free to increase the amount of milk used if you cannot handle such greatness. Bring milk to a boil in a medium pan or pot over medium-high heat. Lower the heat to medium then add the chocolate, whisking vigorously until the chocolate is completely melted. Add the milk powder and cornstarch, still whisking, until everything is dissolved and the mixture is smooth and thick.